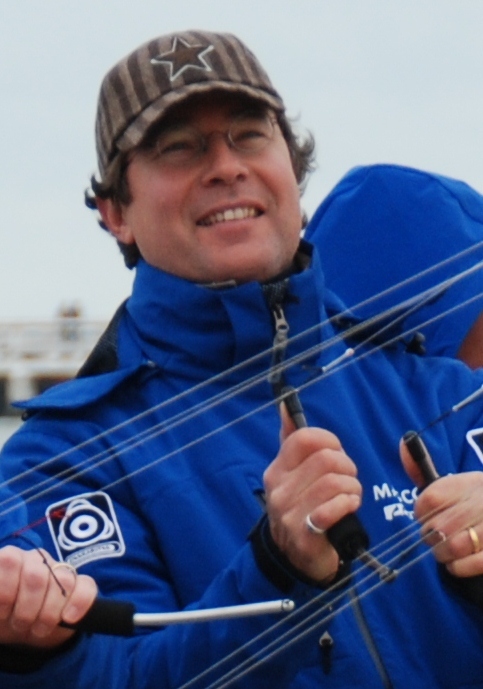 Marc van der Graaf started out with kiting more than 20 years ago and flies Revolution kites exclusively since 2007, Marc is a former member of Time Out and multiple Dutch Multi-line champion. Alard van den Bos flies quad line kites since 2005 and is one of the founders of Holland’s first quad line team Time Out, besides that he flew for several years in quad line competition. Remco de Beijer, a pilot with a lot of experience in power kiting, who decided to try a Revolution kite and never looked back since. Remco is also flying in STACK competitions. Mark Maier started flying quad line kites (or any serious kites, for that matter) only in March 2011 but already is completely addicted.Still on the steep part of the learning curve he is very proud he became a member of Air-4-Ce. Kristof van Ginhoven is the new member of Air-4-Ce. A very enthusiastic Belgium Rev-Pilot who is a very welcome addition to the team. He got affected by the Rev-Flying virus at the end of 2012 and is working hard learning to fly different teamroutines. The team is happy to welcome this new friendly and above all promising pilot !! !